At what ages do pupils join Caterham School? Pupils can join Caterham School at 11+, 13+ or 16+ and occasionally may join at other points. At whichever point you join the School, we make sure families are warmly welcomed into the community. Pupils will get to know their form, their tutor, their buddy and friends in their new House very quickly. When should we apply to Caterham School? That depends on which point you are joining the school and also whether you are joining as a day or a boarding pupil. You can apply as soon as you wish, but for most pupils there is no need to apply until the autumn of the year before entry. Click on the below pages for details of closing dates for the current round. There is no preferred age or entry point – parents must do what is right for their child and many find it helpful to speak to their child’s current Head. 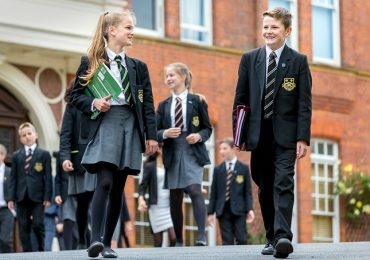 At whichever point of joining, pupils will be welcomed and helped to settle in to life at Caterham. There is a non-returnable admissions fee for applications. This varies according to joining point and whether you are making an application for a day or boarding place. Do prospective pupils have to sit an exam? We interview all candidates to get to know them as individuals and ask them to sit our entrance papers so we are confident that they will cope with the pace of learning. 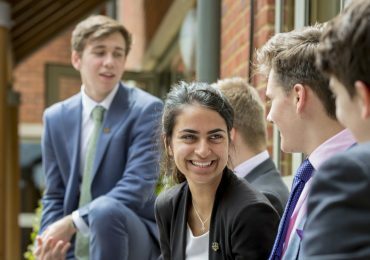 Do we have to tell our child’s current school that we will be applying to Caterham School? It is important that you tell your child’s current school as we will approach them for a reference in support of the application. Are scholarships and a bursaries the same? No – they are different. A Scholarship is a fee reduction offered to reflect exceptional performance in our entrance exam or in key areas (e.g. music, performing arts, art, design etc). Bursaries are means-tested and are designed to support gifted children to attend the school even if their parents cannot afford the full school fees. Bursaries are available to those who are successful in our entrance examination and interview, and assistance is not guaranteed if a place is offered. We attempt to help as many families as possible, but funds are limited.